“You what, mate?” Till responded, when asked why he was pushing his body so hard to get down to a weight which has also caused him problems before. The news is set to lead to a number of questions from the Englishman, who is touted as one of the most promising prospects in the UFC’s welterweight division. Having blasted away Donald “Cowboy” Cerrone – a former lightweight title-challenger – in 2017, Till can catapult himself into his own title shot contention with a win over Stephen “Wonderboy” Thompson in Liverpool, England. 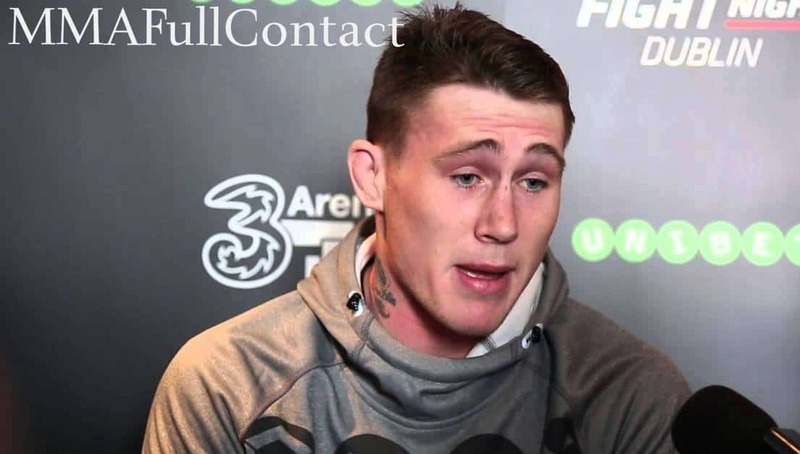 MMAFullContact caught up with Till just a few hundred yards from the incident, but he refused to comment in detail on just having found out there is more than one weight class in the UFC. Till – who simply quoted “my mind’s f**kin’ blown” – returned to his hotel in the city. We did catch up with a member of his team, however, who told us that “The Gorilla” was evidently struggling to process this news. “Get me a fight with McGregor at 155-pounds,” he said.